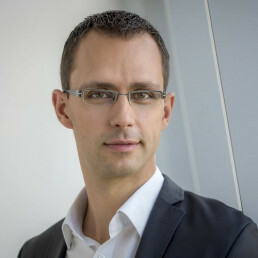 Enno Däneke is managing partner at the FutureManagementGroup AG. He supports companies in early identification of opportunities in future markets and the development of future strategies. He works with clients in the fields of mobility & logistics, and initiated and managed numerous future studies. In addition, he drives the development of semantic technologies in the field of future management. "I am passionate about joining forces with fascinating managers and entrepreneurs to shape the future of their business and redefine the rules of how business is done in their industries. " An expert on the future of mobility & logistics, Enno Däneke speaks on his area of expertise. Over the next five to ten years, the mobility market, and in particular the automotive industry, will change more than over the last thirty years. This speech clarifies which scenarios of future mobility are conceivable. It highlights the massive changes caused by electrification, automation, connectivity, new business models and other powerful trends. Based on this, it outlines the strategies with which companies can successfully transform themselves and focus on the next era. Why nobody might buy cars in 15 years? How is the new era of mobility different from the old era of the automobile? How can you develop a motivating vision and future-proof strategy for your company? Which challenges have to be mastered during the transition period? Which vision candidates and strategies are promising success in the new era? This speech gives an outlook of expected changes caused by digital technologies and intelligent systems for the coming years. It will take you on a journey to innovative start-ups with disruptive solutions who are already shaping the future. How can companies prepare themselves for this future? How can they adapt their strategy? What opportunities open up through digitalization of process- and supply chains? How do blockchain, cloud solutions, artificial intelligence and other powerful technologies change the business? What new services are becoming possible through the analysis of ever more complex and diverse data? How can you align your company with a motivating vision and future robust and strategy towards this future? Urban mobility is currently undergoing epic changes. The most important driver for this is digitalization. It is not yet certain who will be among the “global players” within the mobility market and where the value added potentials actually lie. For example, will smart intermodal solutions or autonomous electric vehicles fleets dominate the cities? This speech introduces the major trends and technologies, which will shape the inner-city transportation within the next ten to twenty years. Based on this, the biggest challenges and opportunities are presented, within a market that is more and more characterized by integration and disruption. Which trends and technologies are driving the development? Which scenarios of urban mobility are foreseeable? What role are the different transportation providers playing in the future? How can individuality and sustainability be brought into accordance? How will electric mobility, connectivity and new mobility services change the cities? The increasing dynamism and the rising competitive intensity of global markets pose a great challenge to companies and their management. Future opportunities arising from this market environment must be known and evaluated. The promising ones have to be developed systematically to compensate declining markets. This speech can be tailored and adapted to the specific subsectors of the market. What trends, topics and technologies will sustainably change the fields of mobility and logistics? What are the best methods and techniques to systematically and creatively recognize and evaluate future markets? How can you prepare your company for the future? What will you live on tomorrow and the days after? Which are the three key questions to your future? What does your company stand for in the future? Where are you leading to? What importance do trends and technologies have for a motivating and future robust vision? What trends and technologies are significantly changing our life and work? What can you make out of prognoses and scenarios from future researcher? How do you distinct the irrelevant from the essentials? What threats and opportunities does the future hold? How can we learn from the future for the present, so we do the right things today? Based on six concrete strategies, this lecture shows how to keep the future in the focus even during daily work routine. As a result, important long-term orientation will be brought into accordance with urgent short-term objectives. How do you get innovative spirit into day-to-day work? How do you expand your horizon for new approaches? How do you ensure the practical future orientation? How do you enthuse and motivate your colleagues and employees for the future? How do you get future on the daily agenda of your management? What strategies are used by start-ups and radical companies to redefine markets? Which tools and technologies of digitization exist and how will they develop in the future? How can you use this to rethink your business model and enrich your strategy? How will you be less surprised by the future?